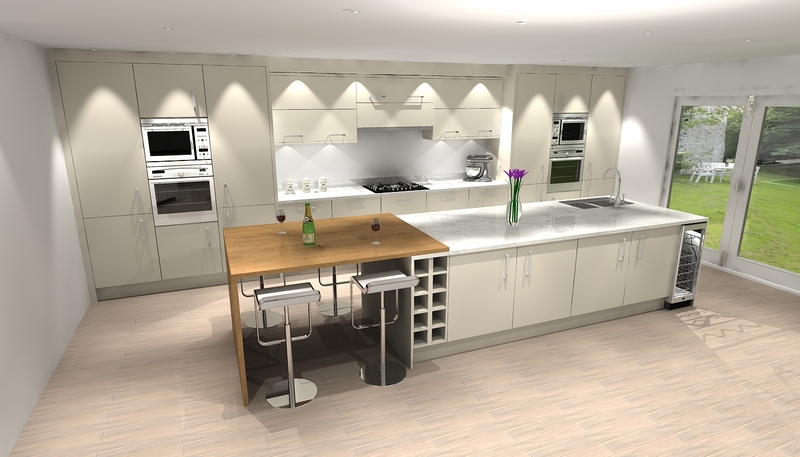 We complete CAD designs to show you how your kitchen may look, with your new Kitchen Design. 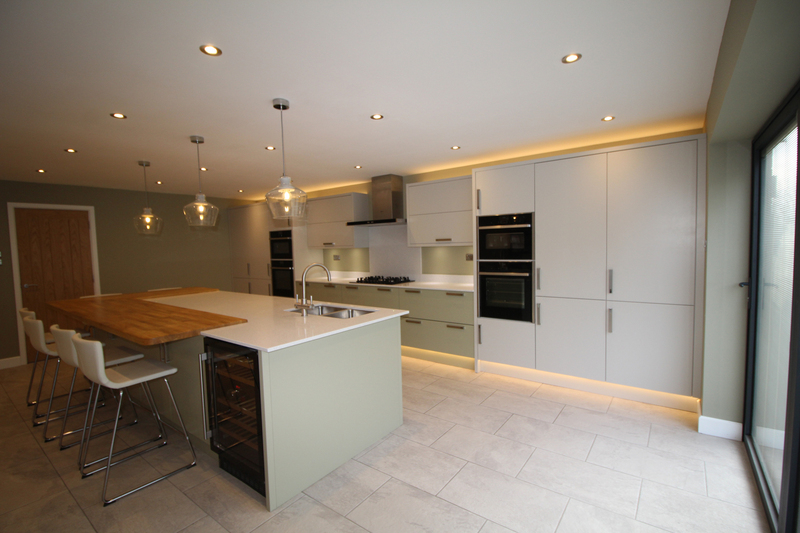 Mr & Mrs Wragg went under a massive extension on their property. 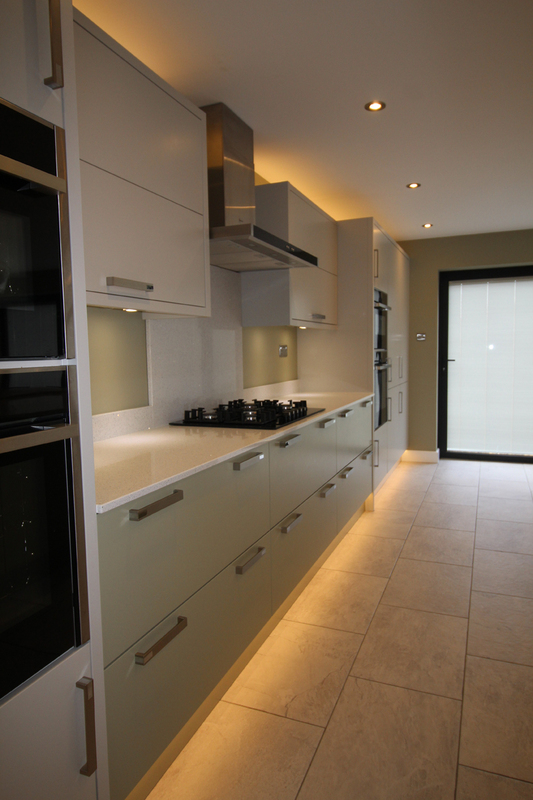 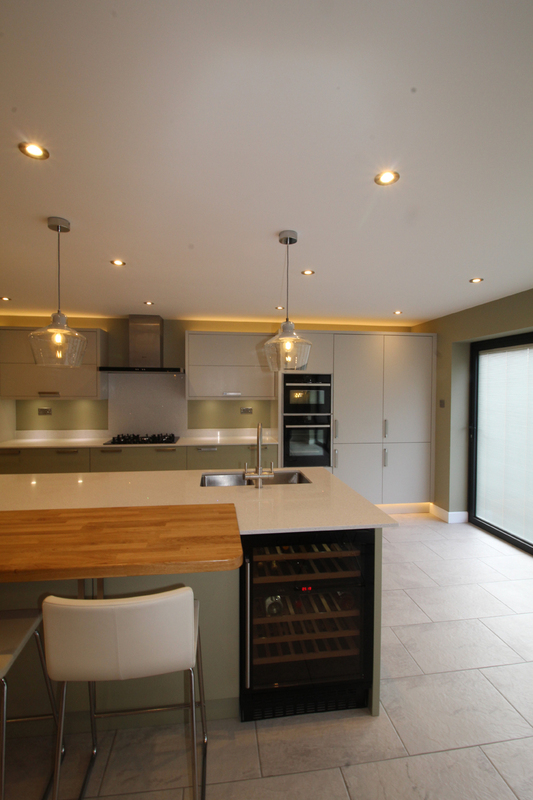 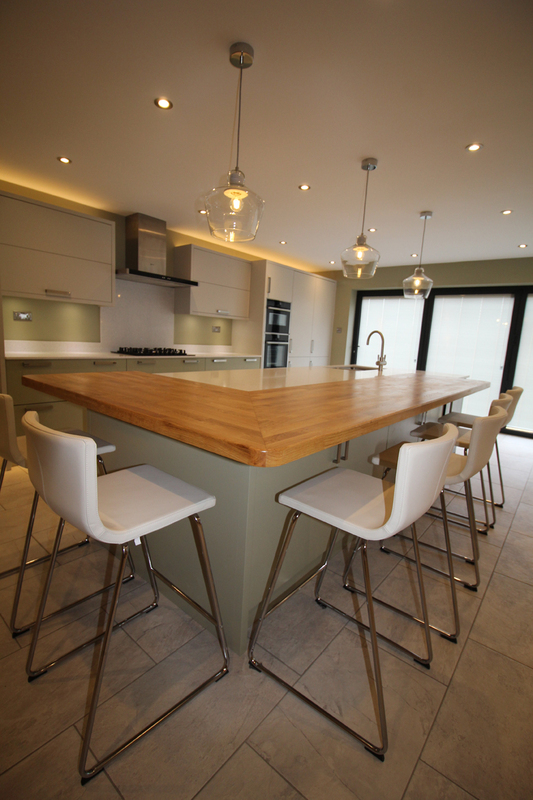 Knocking their existing kitchen through into the new extension which created a large space, where they could eat, cook and relax. 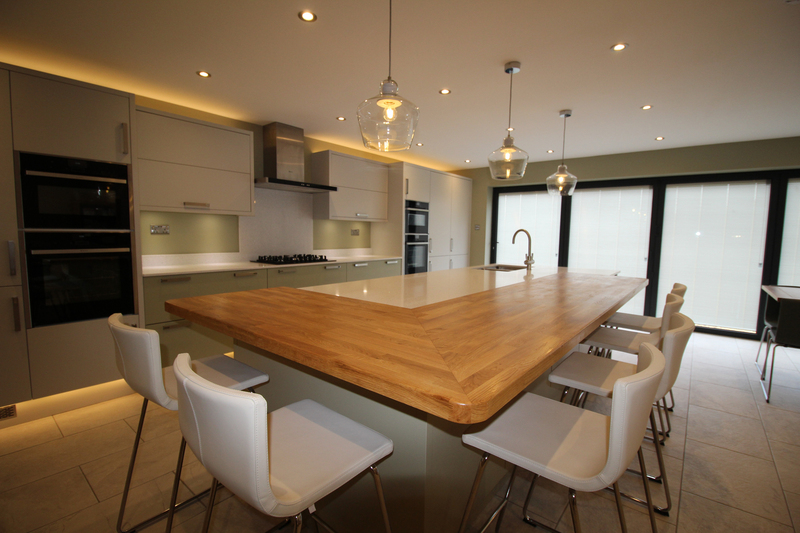 Their main criteria was that they wanted a large Island, as a focal point, where the whole family, could eat, cook and socialise around together. 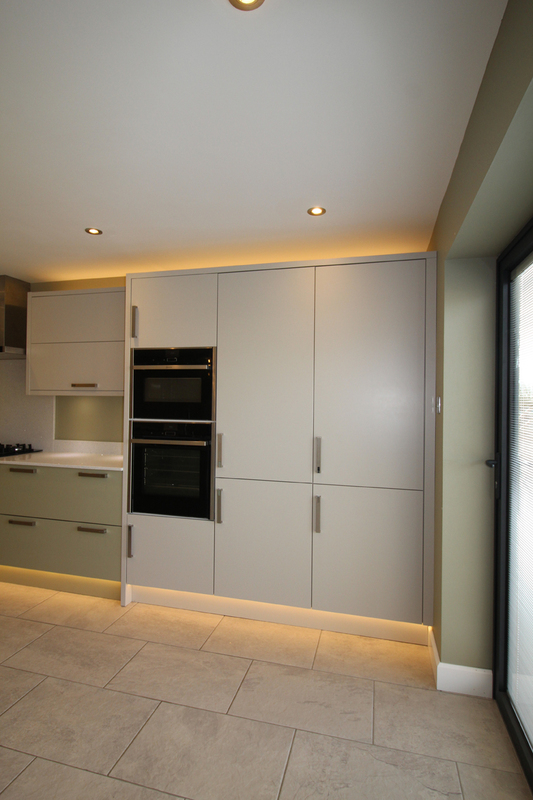 We spent time with them designing different options and layouts until we got exactly what they wanted in the look and practicality. 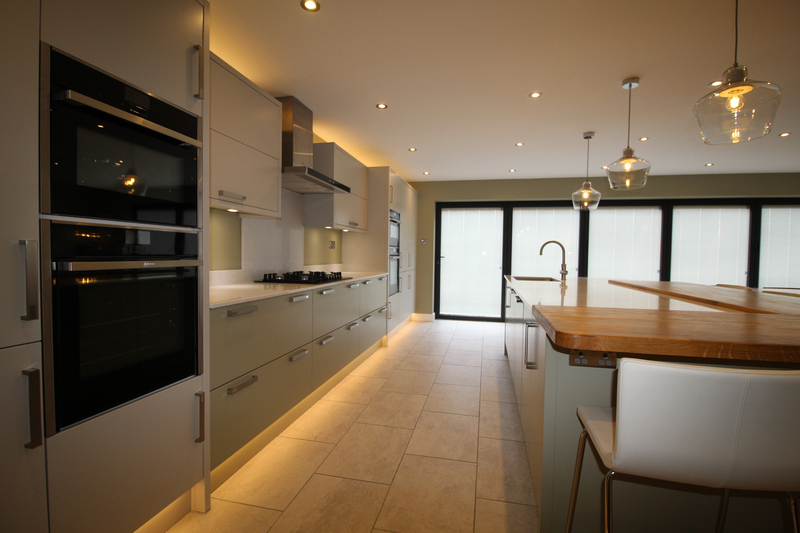 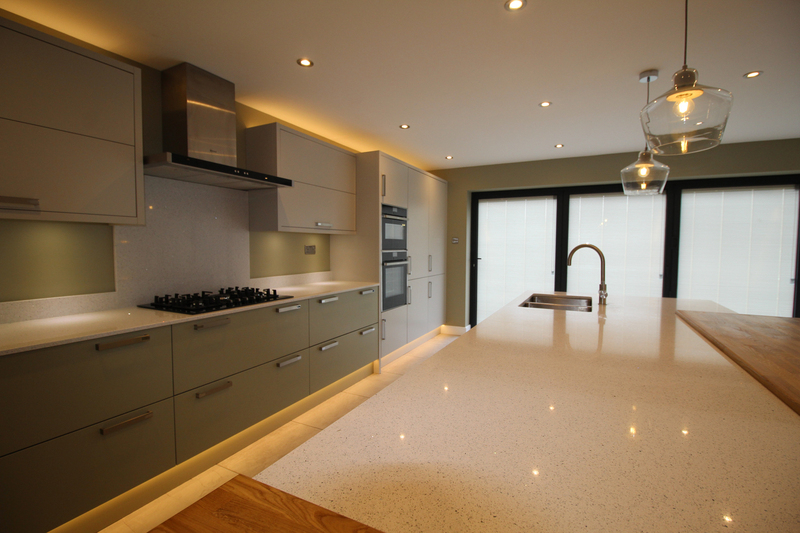 The final design included a Limestone and contrasting Sage Grey kitchen with Silestone worktops, NEFF appliances and a Franke 4 in1 boiling hot water tap. 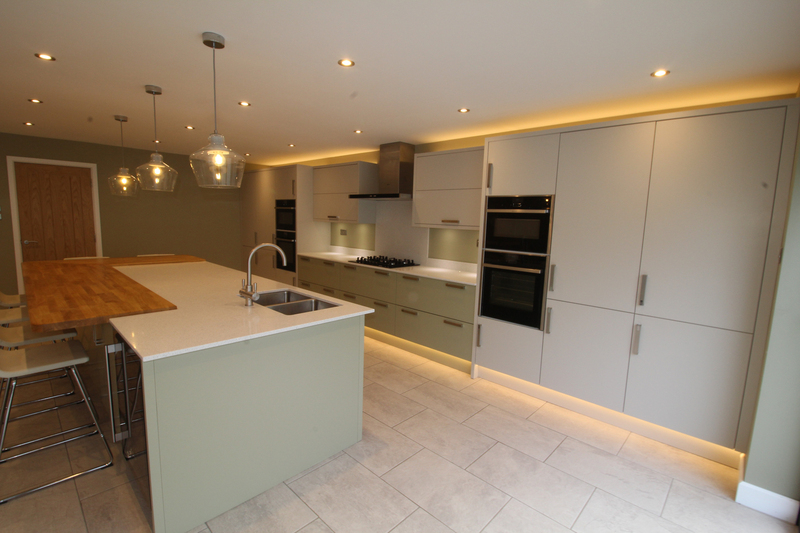 The whole room and space looks fantastic with the kitchen as the focal point.